Kentucky Women Writers Conference has added fiction authors, Emily Fridlund and Sherry Thomas, to an all-star cast of writing talent presenting at the 2018 conference this September. 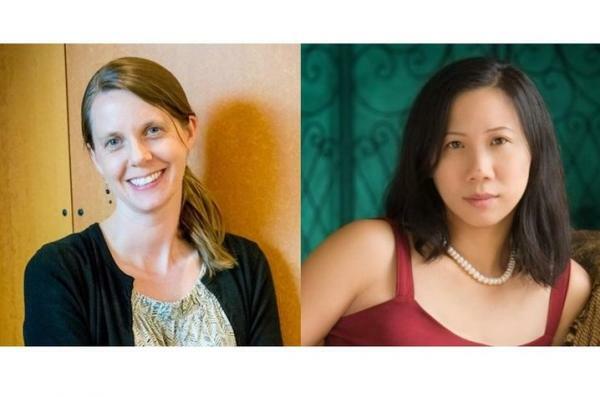 The Kentucky Women Writers Conference has added two award-winning fiction authors, Emily Fridlund and Sherry Thomas, to an all-star cast of writing talent presenting at the 2018 conference. The conference will run Sept. 13-16, in Lexington. Emily Fridlund’s debut novel, "History of Wolves," caught critics’ attention. She was a finalist for the 2017 Man Booker Prize, won the Sue Kaufman Prize for First Fiction from the American Academy of Arts and Letters, and was a finalist for the PEN/Robert W. Bingham Prize for Debut Fiction, among other honors. Fridlund’s creative work has appeared in a variety of journals, including Boston Review, ZYZZYVA, New Orleans Review and Southwest Review. Additionally, her short-story collection, "Catapult" (Sarabande, 2017), won the Mary McCarthy Prize in Short Fiction. Fridlund grew up in Minnesota and now resides in the Finger Lakes region of New York, where she is a visiting scholar in the Department of English at Cornell University. She received an MFA in fiction at Washington University in Saint Louis and a doctoral degree in literature and creative writing at the University of Southern California in 2014. Her graduate research was a study of simultaneity in modernist and contemporary narrative. As part of the Kentucky Women Writers Conference, Fridlund will present a two-day workshop in fiction titled "The Queen Died Too." The workshop will consider questions like, What makes for a compelling plot? How do you bring a story’s elements together in a moving way? E.M. Forster famously defined plot in terms of causality: “‘The king died and then the queen died’ is a story. ‘The king died, and then the queen died of grief’ is a plot.” Forster's classic definition, however, fails to account for the all the subtler narrative structures that allow a story to accumulate meaning through other means: simultaneity, associations, layers and silence. In Fridlund’s workshop, participants will consider plotting in the broadest sense, playing with a variety of models for generating momentum and meaning in work. They will also experiment with a plurality of approaches to plotting in hopes of returning to their own fiction with fresh ideas for shaping raw stories. USA Today best-selling author Sherry Thomas decided her goal in life is to write every kind of book she enjoys reading. Thus far she has published romance, fantasy, mystery and a wuxia-inspired duology. She has won multiple awards including the Romance Writers of America RITA Award for Best Historical Romance for “Not Quite a Husband” in 2010 and “His at Night” in 2011. Most best-of-romance lists include one of Thomas’ titles. In an article in The New York Times, romance author Sarah MacLean noted how Thomas is known for her "lush style," and in USA Today romance author Madeline Hunter described Thomas as "critically acclaimed as one of historical romance's best writers." A native of China, Thomas emigrated to the United States at 13 and learned English reading romance novels. She published her first novel in 2008, an English-set Victorian romance, and in 2013, she branched into young adult fantasy. In 2014, she diverged from her traditional historical settings to publish a series set in imperial China. Common themes in her work include unrequited love, love betrayed and fate. Thomas's workshop in fiction is titled “Chemistry, Subtext, and World-building: How to create the sizzle, the nuance, and the immersiveness that will keep your readers glued to the page.” This two-day, two-session generative workshop breaks down several of the X-factors of propulsive storytelling. Participants will: illustrate chemistry in the context of both story development and character arc and learn the specifics of creating and deepening chemistry; examine how subtext creates layered narratives and nuanced interactions between characters; and practice intriguing world-building, whether their characters wear corsets and ride in carriages, or wave wands and battle dragons. 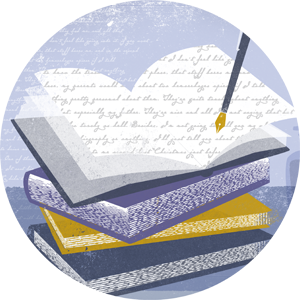 The 40th annual Kentucky Women Writers Conference, will take place Sept. 13-16, 2018, at the Carnegie Center for Literacy and Learning and other Lexington venues. Fees are $200 for general admission plus workshop, $125 for general admission without a workshop, and $30 for students. The conference also features several free events open to the general public. A program of the UK College of Arts and Sciences, the conference is the longest running literary festival of women in the nation. For more information or to register for the Kentucky Women Writers Conference, visit online at www.kentuckywomenwriters.org.